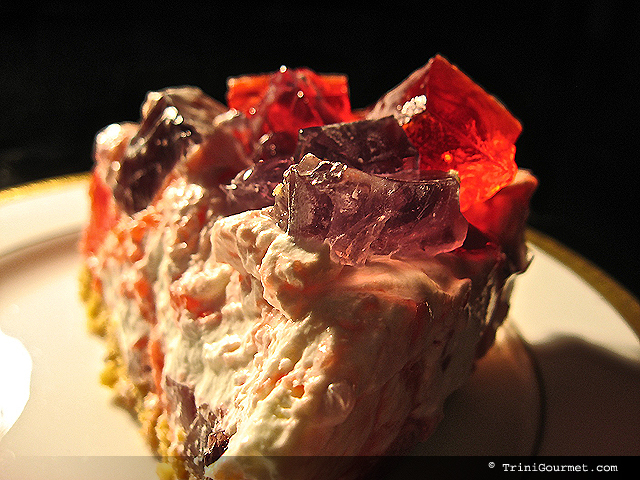 Punch de Creme, is one of Trinidad’s traditional Christmas drinks. 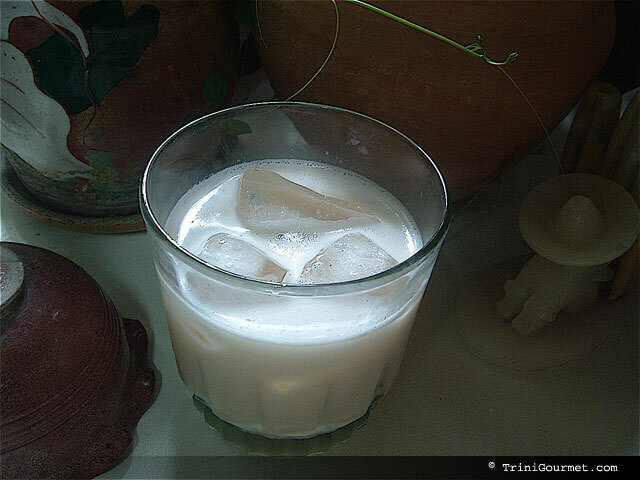 It is a rum drink, basically our version of eggnog. 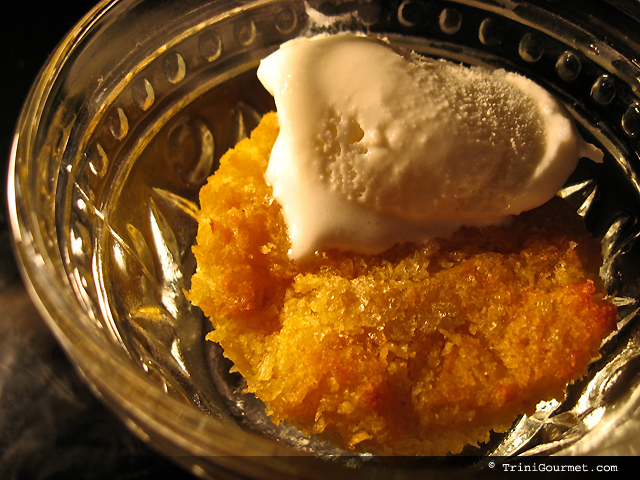 This recipe for Pumpkin Pone came from the Naparima Girls High School Cookbook and is cited as being Guyanese in origin. The holidays for me mean Hanukkah and Eight days of Candlelit Goodness so I thought what better than latkes? But I couldn’t just do generic latkes. No no no. Being Trini I figured where there’s fried potato, curry and chadon beni shouldn’t be too far behind. 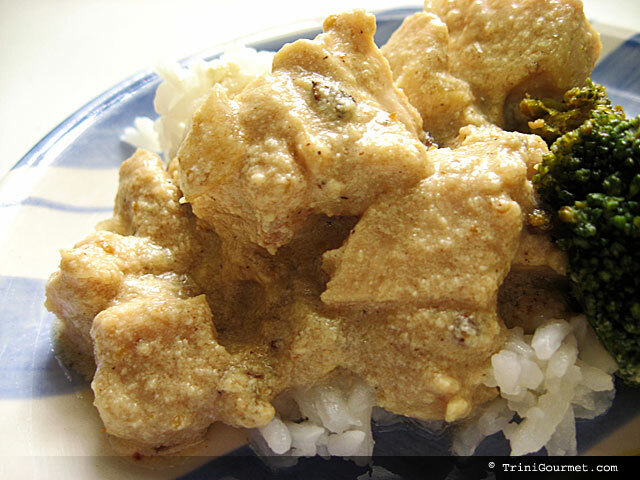 The base of the recipe is a floral paste of ground nuts (she used macadamian I used cashew), coriander, tumeric and garlic to which coconut milk is added and allowed to simmer. Skinned chicken pieces are then added to the mixture and allowed to braise gently. Absorbing the flavours and remaining deliciously tender in the process. 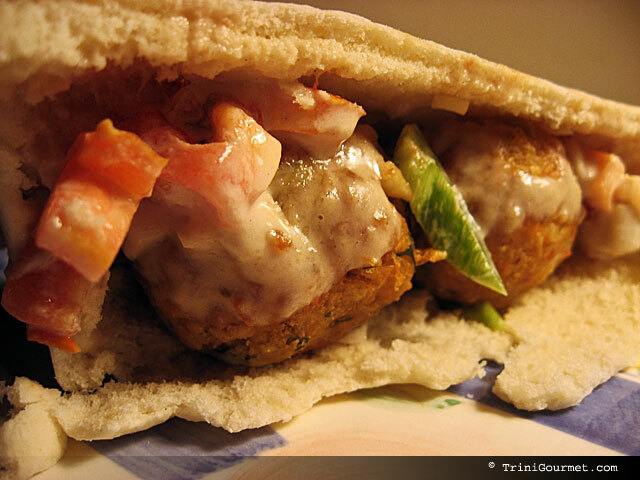 Falafel is an item that depending on your part of the world is either par for the course, or an unheard of oddity. Growing up here in Trinidad falafels were not part of my culinary experience, however in the last few years, Syrian-Lebanese eateries have become more and more popular and Middle Eastern fare has become well-loved outside of their original ethnic communities. 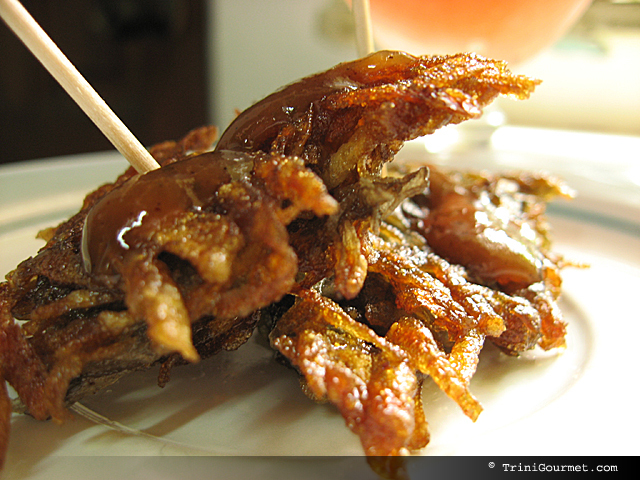 I first made these fritters as part of last year’s Sukkot menu. They are much sweeter and lighter than one would expect. 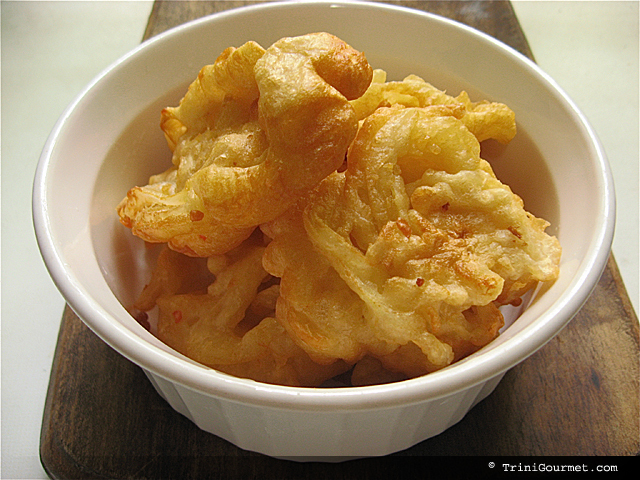 And the soaking of the onions in the batter ensures that the onion flavour mellows and evenly distributes. 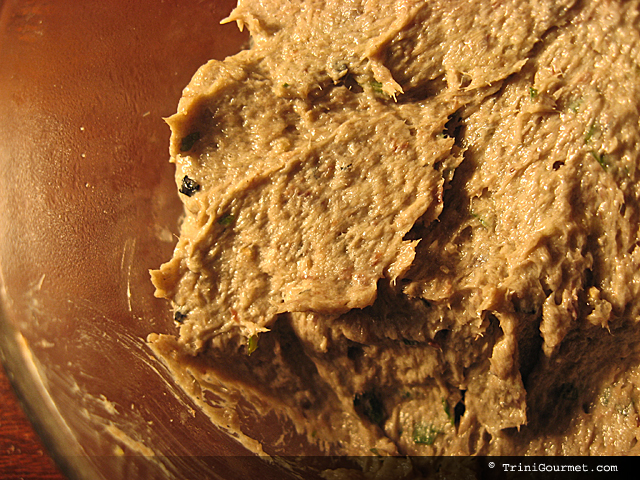 This recipe for Sardine Pate comes from Nigella Lawson and if you don’t like sardines, or know someone who doesn’t I really suggest giving it a try. The lime juice makes sure that the odour is cut, and the generous portion of batter, softens the sardines flavour, blurring it into something more indistinguishable and mouth-satisfyingly creamy. 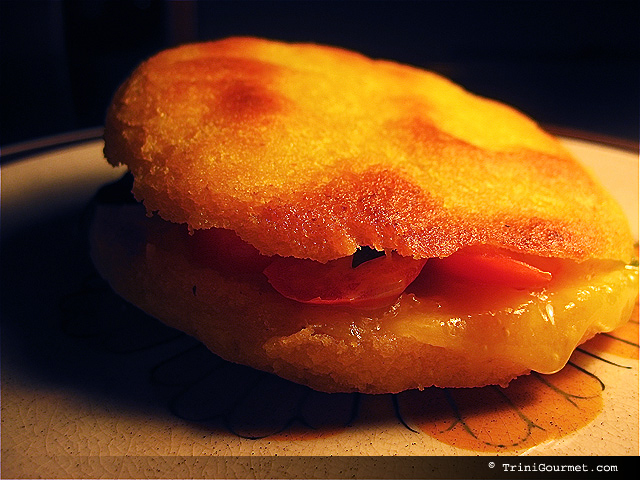 I love eating arepas when they are piping hot. I slather them with butter, and then add any type of filling that I like. The flavour of an arepa is mild so the addition of salt, and the crusting of the exterior are vital to bring out the subtle corn flavour. This recipe from Michael Chiarello is one of my all-time faves for tomato soup. It is so simple and easy to put together. Since I originally made it earlier this year, on a rainy evening, it has become one of my fail-safes for when I get late-night hunger pangs.